Has it been eons since you cruised (and long before the kids appeared)? Or perhaps, you’ve never sailed the Big Blue Marble and are raring to go with your kids in tow? No doubt, the cruise culture is brilliant at delivering a quintessential, mostly all-inclusive family vacation, but don’t click “buy” just yet. Trust me. I once booked a cruise that shall remain nameless. The ship turned out to be a vessel dedicated to those of us who swooned over David Cassidy, and listened to his music on 8-track. My then 9-year-olds – making the best of said nameless experience – hopped the ship’s glass elevator and rode it the entire vacation. This Travel Mom has learned a lot since then! For best cruise prices, cruise off-season and note whether the ship is new or not. October and November tend toward low crowds and lower prices. If you’re new to cruising, the term all-inclusive might cause confusion. Certainly the initial up-front per-person fee that you pay well before boarding assures you loads of access to the cruise ship and its fun activities: main dining rooms, pools, water parks, kids’ clubs, your cabin, fitness rooms, live shows, movies, and so forth. Cruise-life can get tricky when you learn that most ships have specialty dining, bars, the spa and salon, specialty babysitting, and port excursions that aren’t included in your initial fee. Sure, extras can add up if you’re not watching the bottom line. The question becomes: Can you enjoy a thrilling cruise experience without indulging in the many extras? The answer is wholeheartedly, yes! So, you’ve paid your initial up-front per-person fee. When you board your cruise, most ships ask you to wear a wristband that allows charges for dining or spa activity or the like to be billed back to your room. Don’t want the kids having that kind of financial say-so? It’s a snap to request that their wristbands not allow room charges. The last evening of your cruise, you’ll receive your total bill. I once purchased two souvenir mugs that were billed to my room. The price came in higher than I’d expected. Someone had added 15 percent to my purchase. (Back they went.) Warning: Eagle-eye your bill daily. The final bill should hold no sticker-shock for you. If something is on the bill – like my mug gratuity – you can approach the customer service desk the evening before you disembark. Can kids hit the decks alone? You bet! In fact, that’s part of the fun of cruising. Kids ten and over can handle limited supervision – your parental call, of course – and can get their first taste of freedom on a cruise ship. They can race to the kids’ area on their own, dine in a main dining room without the adults around, catch a movie, and so on. At what age you’ll allow cruise-freedom for the kids comes down to your comfort level, your child’s maturity level, and which line you’re cruising (Disney ships put kid-safety first, for example). Being a member of the Helicopter American Moms Society (HAMS), I didn’t give my boys much freedom on the ship until they turned ten and demonstrated that they’d follow through with plans to meet us at a certain place and time. Kids eleven and up are definitely in a safe environment to handle cruise-freedom, especially during the day. Kids’ clubs are considered safe and tend to be well supervised. Once my boys turned twelve, I didn’t have any problem with them returning from their kids’ club activities at a late hour or roaming the ship during the day. The one time I’d never set a kid free: at a cruise ship’s pool. Unless it’s Disney, cruise ship pools do not have lifeguards. My kids know that they can swim only if my husband and I are supervising. Period. Port and private island excursions are a different head-scratcher all together. Many cruise lines have private islands if you’re sailing to a balmy, high-temp region. Obviously, you won’t find a private island on, say, your Alaska cruise. Excursions range wildly from a pricey helicopter tour in Juneau to the entrance price of a museum. Excursion prices simply reflect what activities you want to pay for – just as if you visited a city and preferred to walk the sandy beach (generally free), rather than feed the stingrays on Disney’s private island ($51 per person for ages ten and up; $40 per person ages five to nine). 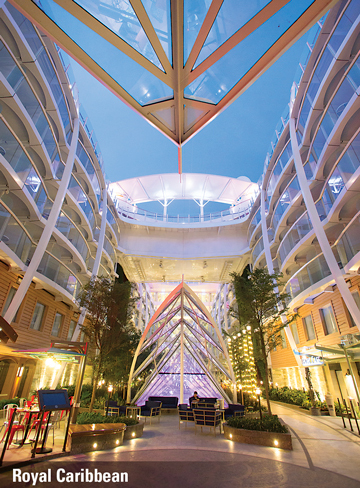 When it comes to tech devices and Wi-Fi service, the cruise game is rapidly changing. Virtually all ocean cruise ships – except exploration ships – allow you to purchase a package of minutes. Not too far in the past, minute-packages were pricey and sloth-slow, but depending on the ship, today you may score a decently priced minutes-package that delivers quick service. The cruise world is working to bring streaming, Skyping, and so forth to our seafaring-experience, so stay tuned. What to wear on a cruise? I’ve cruised in shorts and T-shirts, and once skipped formal night completely. (Later I found out there was no need; plenty dressed with a sundress on a formal night.) On one cruise, I couldn’t wait to wear a sparkling dress for formal night that I scored at Goodwill. On moderate to budget-priced lines, it’s your call. Pretty clothes from Target work just as nicely as dropping a bundle at Nordstrom. But, if you’re on a luxury line, read dress details carefully. Formal night can mean a jacket for him, a long dress for her. Some cruises that are adult-oriented do have full-on black tie and evening gown attire at least once over a 7-night cruise. How do you know what to wear? Every evening in your cabin you’ll receive a full itinerary for the next day. This handy piece of paper details the weather for the following day, activities, which port you’re visiting, and what type of clothing for dinner. For example, on Disney’s Pirate Night, the itinerary will remind you to wear your eye-patch and gold earrings, Matey! Let’s consider ages and stages. All cruise lines require infants to be at least six months of age to cruise, and generally, most lines require kids to be at least twelve months of age to sail on longer transatlantic voyages. If your child isn’t toilet-trained, cruise pools are a no-go, and swim diapers and pull-ups don’t cut it. But good news: Many ships have a splash pad for the cute set. Before you choose a ship, heavily research whether the kids’ clubs lump varying ages together. You want a variety of kids’ clubs that cater to preschoolers, ages five to eight, tweens, young teens, and so forth. You don’t want to see your 12-year-old hanging with 5-year-olds. And I don’t want my 13-year-olds chilling with 17-year-olds. Older kids who are eighteen to twenty-one pose an unusual problem. These young adults can’t be in the teen club or in adult clubs. Your takeaway? Either cruise before your teen turns eighteen, or keep your older children happy by choosing a line with a lot of activities aimed at their interests. And another thing or two. 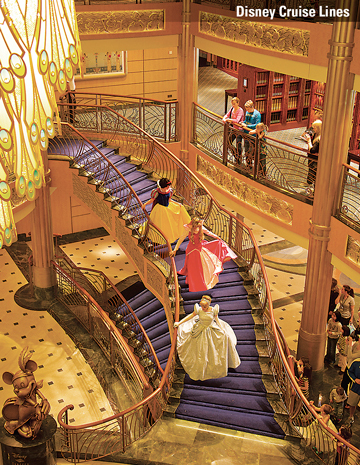 To avoid lines and crowds, assume the role of cruise contrarian. For example, on the first day of your cruise, most passengers scramble for the lunch buffet. Instead, head for the water slides. 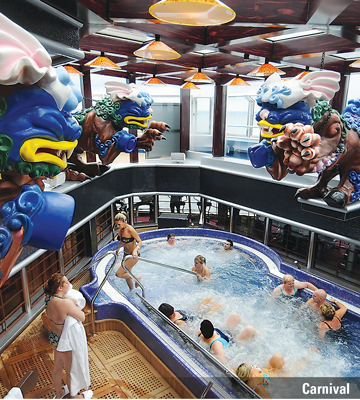 Because your kids wore their bathing suits onto the ship, they’re ready for action. And when the crowd finally joins you? Head for a late lunch. Want the best tip for keeping your cabin functional? Pack an inexpensive over-the-door hanging shoe organizer (bought mine at Target for $6.99, shrink-wrapped to make packing easy). In your cabin, hang it over the door that connects to the next cabin. This gem holds shoes, tech devices, documents, snacks, jewelry… you get the Pinterest picture. Bon voyage! For parents, choosing the perfect ship doesn’t have to be an exact science. Maybe it’s because we tend to live in a sleep-deprived, zombie state most of the time, making a beautiful ship sailing anywhere beautiful with someone else beautifully cooking… sound, well, beautiful. Traumatizing cost? So what! We’re in! Included here are budget, moderate, top-of-the line, and keep-a-defibrillator-nearby cruises, some with ports within driving distance of RVA, because who wants to plop down half the vacation budget on airfare? two new beauties join her sisters in 2021 and 2023. 2. Snagging the crown this year as the largest ship to sail our globe is Royal Caribbean’s Harmony of the Seas, part of Royal’s small-planet Oasis class. With three towering waterslides, a drench bucket, water cannons, a multi-platform jungle gym, two climbing walls, a zip line, four swimming pools, ten hot tubs, and an ice skating rink, you might see your older kids by evening. Little kids will clamber to meet the DreamWorks celebs like Shrek and the Kung Fu Panda characters, and parents will dig the lavish spa and fitness center. Harmony’s dining choices are practically endless with twenty restaurants and seven knock-off neighborhoods, like the scenic Central Park and the exciting Boardwalk, meant to evoke a Coney Island vibe. Harmony home ports in Fort Lauderdale. 3. Royal Caribbean’s Anthem of the Sea is part of the Quantum class, which is second only in size to Royal’s Oasis class. Older kids will go wild for the surf simulator, bumper cars, an elaborate skydiving simulator (RipCord by iFly), an H2O Zone water park with the first wave pool at sea, a pool with a giant video screen, a circus school with flying trapeze acts, and an indoor pool with a retractable roof. Even the risk-averse will want to experience the NorthStar observation tower – a glass-walled capsule that lifts passengers 300 feet above sea level and gives a 360-degree view. Interior staterooms boast a “virtual balcony.” Cabins also have a “virtual porthole” that is a floor-to-ceiling 80-inch high-def TV screen showing live views from the outside of the ship. Anthem home ports at Cruise Port Bayonne in New Jersey. 4. Carnival’s Vista is the shiny new ship in the fleet and is just the ticket for those who love terrifying heights. Soaring 150 feet above the ship’s highest deck is the SkyRide, the cruise world’s first pedal-powered, aerial attraction. Guests pedal side-by-side recumbent-like bikes on an 800-foot track for a light workout along with an incredible view. The Vista also has both the new 455-foot Kaleid-o-Slide in her water park and the first-ever IMAX theatre at sea. Suites in the families-only section sleep up to five. Plus, when parents are ready to chill at the posh adults-only retreat, they can drop kids under age twelve at Camp Ocean. The Carnival line is well-loved for festive, affordable cruising. The Vista home ports in Miami, Florida. the surf. The Koningsdam home ports in Fort Lauderdale, Florida. 7. 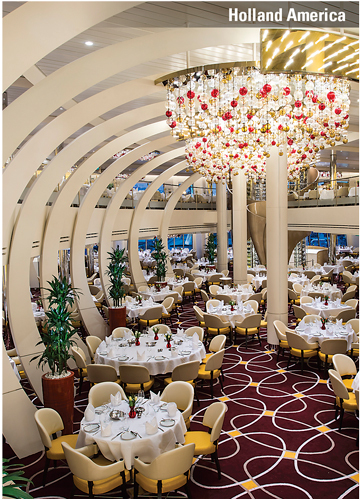 Norwegian Cruise Line’s Epic began sailing in 2010, and received a detailed renovation five years later. Tweens and teens will be in awe of the enormous water park that includes a tube slide that drops kids 200 feet into the largest bowl slide at sea. Activities include two more waterslides, two 3-lane bowling alleys, SplashGolf (watery mini-golf that received raves), and a sports complex that includes a basketball court, a bungee trampoline, and a 2-deck climbing cage. The fitness center is intense and comes with twenty-seven treadmills and dedicated studios for spinning classes and TRX suspension training. Seemingly endless classes include morning stretch, yoga, and Pilates. All three Norwegian ships boast an ice bar that’s kept at seventeen degrees. Here, grown-up guests don hooded parkas and gloves to keep warm while sipping vodka. The art deco bar, seating, and glasses are all made of ice. The Epic splits her time between Port Canaveral in Florida and Spain. 8. 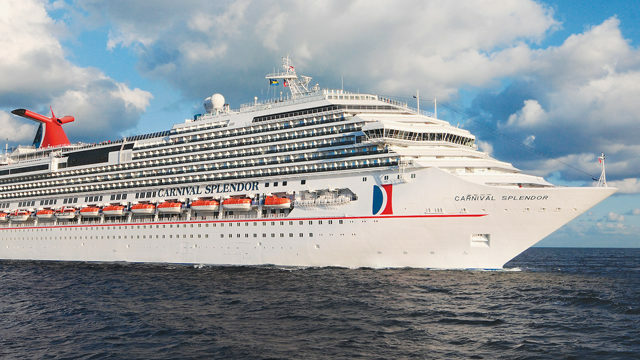 Carnival’s Pride first hit the water back in 2001, but don’t let her age bother you. In 2014, she received a full upgrade. The Pride sails out of Baltimore, Maryland, making your drive from Richmond short and sweet. Since her extensive renovation, the Pride rocks with WaterWorks (including Green Thunder, the fastest, steepest water slide at sea, and a colorful spray park), a jumbo-sized LED screen for movies, sports events, and cartoons deck-side. Age appropriate kids’ clubs are popular for young kids, tweens, and teens. Little guys will love Carnival’s Seuss at Sea program that showcases a character parade, story time, and a Green Eggs and Ham character breakfast featuring the Cat in the Hat. The lavish adults-only retreat delivers sumptuous daybeds, swaying hammocks, a nearby bar, and a whole lot of ocean-view. 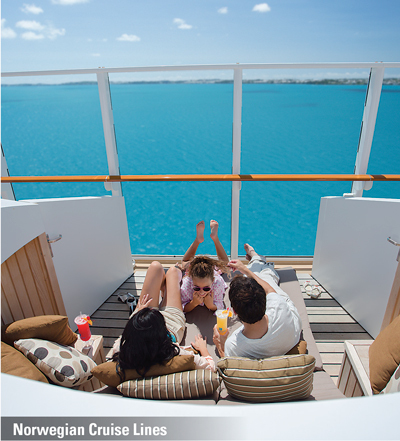 The Pride boasts over a thousand staterooms: 80 percent with ocean views and 80 percent of those with private balconies. Regarding cost, this is the sweet spot for first-time cruisers, or those hoping to eventually have money for retirement. 9. Saving the extravagant for last are two expedition experiences. Are you looking to give your kids an experience of a lifetime and transform them into mini-experts on the spots you’re exploring? Read on. Our story begins with a question. Did you know that National Geographic offers exploration-adventures all across the globe in partnership with Lindblad Expeditions? (Me neither.) Each of their thirteen ships is able to deftly navigate our planet’s crags and crevices that large cruise ships can barely cruise over. Next year, the new National Geographic Quest will debut, sailing through Alaska, the Pacific Northwest, and Costa Rica. Pods of orca, breaching humpbacks, foraging brown bears, and ascending eagles – you’ll see it all as you sail the wild seas. Daily activities include hiking with a naturalist, kayaking, and photography sessions. Or stay aboard and schedule a massage in the small spa, and later grab a chaise for cushy reading. Daily, an ROV (remotely operated vehicle) descends 1,000 feet under your boat and comes back with video of all that is happening in the deep – which is then shown in the lounge. The ship has twenty-four sea kayaks, paddle boards, snorkeling equipment, and Zodiacs (all-terrain boats) – all geared for exploring remote spots. And the food? Way beyond your expectations. Expect to make lifelong friends, marvel at sights that’ll make your heart soar, and return home in awe of your journey. The Quest sleeps a hundred guests in fifty cabins (twenty-two with balconies and eight that can be connected to allow for five guests). Ballpark cost: $6,500 per person ($500 off for kids under age eighteen), plus flights to various home ports. 10. 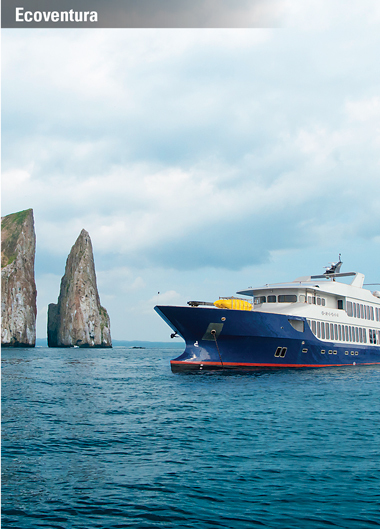 And second in your-wildest-dream category: Ecoventura’s new MV Origin which sails throughout the Galapagos Islands. It’s a crazy fantasy, but stay with me: kids catered to during a 7-night itinerary for twenty people; kayaking, snorkeling, and stand-up paddle boarding for all; open bar; cooking demos; and sumptuous staterooms spiffed twice a day. Best of all? You’re sailing through the Galapagos Islands. Remember movies from the eighth grade? The ones you doodled through? Yeah, they explained how Darwin cataloged endemic species (fancy for unique to the location) that changed how we look at our world. This experience will bring your family up close to Darwin’s incredible world of natural science discovery: Galapagos tortoises, marine iguanas, albatrosses – even those gorgeous blue-footed boobies. Guests swim and snorkel with penguins, sea lions, turtles, exotic fish – even friendly sharks. (Temps are warmest December to June, wet suits are available for the cooler months from July to November.) Cost: Roughly $6,800 per person, plus flights to Ecuador and onto the Galapagos. Next articleMake Way for Baby! Wendy irvine is a family travel writer who recently relocated to the East Coast and a regular contributor to Trip Advisor and Expedia online, as well as local and national magazines. She homeschools her twin boys and lives with one foot in RVA and the other in Atlanta. Visit JellyFishinJuly.com for more from Wendy on the reality of family travel.